Africa U.S.A. is a true American success story. How did some Florida scrubland become a world famous theme park? Read the full story here! Racine, Wisconsin is a medium-size midwestern city, home to many inventors and entrepreneurs. In 1897, John P. Pedersen was born in Racine, the son of Danish immigrants. Click here to read about the Pedersen family history. Back in Racine, John worked a few hours a week in an automobile body factory, but the Great Depression was beginning to take effect. By this time the Pedersen family had grown to four, with daughter Shirley born in 1926. Lillian was quite talented with crafts, and made small items called "curtain tie-backs." These crafts were sewn from scraps of cloths and were quite popular with friends. The Pedersens decided to see if they could market the tiebacks to larger stores. 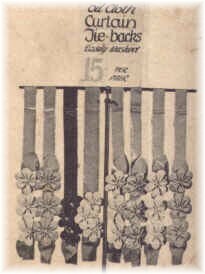 John went to Chicago and sold the curtain tie-backs to all the major Chicago department stores such as Montgomery Ward and Sears Roebuck. With these contracts the Unique Novelty Company was born. Their curtain tie-back designs were protected under patent number 1,818,578, granted August 11, 1931. Over 60 people were hired to make the curtain tie-backs. With the proceeds from the curtain tie-backs, John bought land in suburban Racine and built affordable housing for Racine workers. His two bedroom houses cost $1000 to buy, and he built 70 houses for rental properties. He became well-known for his "one cents sale" - if you bought one house you got another for one cent! While working on a house, John fell off a roof and injured his back. Lillian suggested that a warmer climate might help, and the family was on the way to Florida. The Florida of the 1930's was mostly untamed jungle, and land was cheap after the great land bust. John bought land throughout South Florida and built many developments such as Wilton Manors in Fort Lauderdale. The outbreak of World War II brought home building to a halt - materials were severely rationed. This only caused John to become more creative. He built houses under the guise of "chicken coops". They were essentially houses without interior finish work where the Pedersens raised chickens for the war effort. When the war ended in 1945 the "chicken coops" were cleaned up and finished and sold to returning GI's. John and Lillian never forgot their dream of having an African wildlife park and botanical garden. As Jack and mother Lillian were driving in Boca Raton, they came across some grasslands dotted with pine trees and sable palm that looked like an African savannah. John looked at the land and the tiny town of Boca Raton and commented "This is the deadest town I have ever seen. I am going to wake up this town. 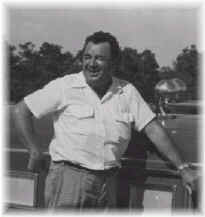 "John purchased the 300 acres in 1950 from the City of Boca Raton and Palm Beach County Commission. 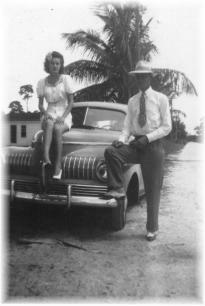 The land was originally homesteaded as an orange grove by the Raulerson family, one of the original Boca Raton pioneer families. The transformation to an African Jungle began. Miles of canals and lakes were dug. An artificial waterfall and geyser were engineered by Jack Pedersen utilizing huge pumps to propel the water. Over 55,000 plants were added to the landscape to give that jungle look. All that was missing was the animals. 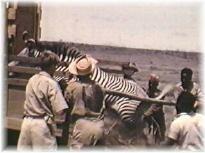 Jack flew to British East Africa to begin the process of animal collection. 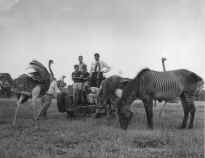 Working with Dr. Cecil Cade and his son Richard, Jack spent seven months in Africa collecting rare Grevy's zebras, ostrich, cranes, wildebeest, zebra, and gazelle. Special permission was granted to capture the Grevy's zebra as they are almost extinct in the wild. Jack endured many illnesses while in Africa including malaria and tick fever. The animals were loaded onto the African Planet steam ship as a modern day "Noah's Ark." The ship left the port of Mombassa and sailed nine weeks across the Atlantic to Port Everglades, Florida. 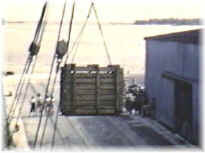 Richard Cade accompanied the animals aboard ship and helped transition the animals to their new home in Boca Raton. Click here to see pictures sent by Richard Cade. Florida Senator George Smathers was instrumental in getting permission for the animals to arrive at Port Everglades. It was the largest shipment of animals ever to leave Africa aboard one ship. The crates that held the ostrich had to be constantly rebuilt to allow for the fast-growing creatures. Although the ship endured many storms at sea, the animals arrived safely. The unloading of the animals was quite a media event and the animals were transported to their new home in Boca Raton. On March 10, 1953 Africa U.S.A. opened its doors to the public. The admission to the gardens areas was free, and the Jungle Train Tour was 95 cents. Many major newspapers did full-page write-ups because of the uniqueness of the park - a zoo with no cages where the visitors could safely interact with the animals. 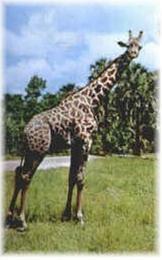 Many animals were added by purchasing animals from other zoos such as camels, elephants and giraffe. The herds began to grow as the animals adapted to the South Florida climate. 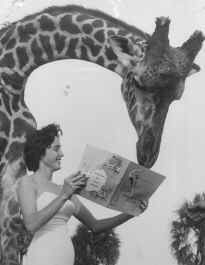 In the 1950's, it was difficult to import giraffes directly into the United States due to strict regulations from the Department of Agriculture. 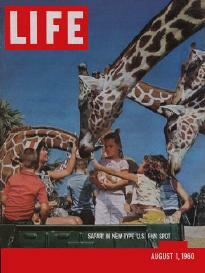 The Department also refused to let Africa U.S.A. import giraffes because they were a "private" zoo. A giraffe was purchased by Africa U.S.A. from Kenya but the Department of Agriculture refused to release him to Africa U.S.A. So off to court they went. Jack Pedersen flew to Washington D.C. and assisted Africa U.S.A. attorney Ernest Tucker in arguing before the U.S. Court of Appeals. The court held that Africa U.S.A. had just as much right to have a giraffe as any public zoo. Click here to read the court's decision. The poor giraffe was quarantined 18 months in New Jersey. The court battle cost over $17,000 in legal fees so the giraffe was named "Moneybags". The Department of Agriculture still was not through. They billed Africa U.S.A. $2,100 for the giraffe's food. Back to court they went and again Africa U.S.A. won. These victories against the Department of Agriculture would prove costly later on. Another popular "celebrity" at Africa U.S.A. was pin-up queen Bettie Page. Click here to see some famous shots of "Jungle Bettie". 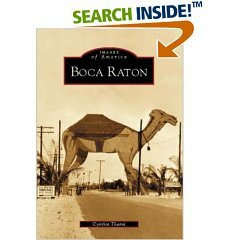 A Growing Boca Raton and Africa U.S.A.
As the 1950's continued. 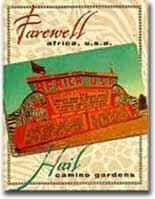 Africa U.S.A. became more and more popular as a tourist attraction with 300,000 visitors a year. John Pedersen had succeeded, perhaps too well, on putting Boca Raton on the map. Housing developments such as Boca Isles began to spring up around the Africa U.S.A. property. Many residents complained about the noise and traffic that Africa U.S.A. contributed to. A legal battle over the path that Camino Real would take ensued as the City of Boca Raton tried to condemn land. John Pedersen argued that the crooked path that Camino Real would take was dangerous but he was overruled by the city council. At about the same time the legal "victories" against the Department of Agriculture were to take their toll. Even though no animals had been directly imported from Africa for years, African red ticks were supposedly found on some animals. The Department insisted on spraying and several animals fell over dead where they stood. This and the Camino Real situation made John Pedersen realize that his welcome in Boca Raton was over. He sold the Africa U.S.A. attraction and a corporation ran it for two years. After they failed to make payments, John took the property back and ran it during its final year of operation. Several developers were anxious to buy the land. The Closing of Africa U.S.A.
Africa U.S.A. was sold and closed its doors on September 4, 1961. The animals were sold at auction to zoos around the country. John Pedersen was 65 at the time and tired of fighting city hall. The Africa U.S.A. era had come to an end. The Pedersens retired to Lake Worth until 1971 when they moved to Australia. They returned to Lake Worth in 1974 to be near family. 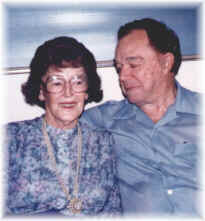 Lillian Pedersen died in 1985 but John Pedersen reached the age of 98. Never to be outdone, his last moment of glory occurred in January 1996 when he appeared on the front page of his hometown newspaper back in Racine. He had written to the paper with a mini-biography of himself. 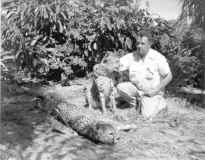 When his fantastic tales of a "one-cent" housing sale and running an African wildlife park turned out to be true, John Pedersen had his last bit of fame. Click here to read a synopsis of John's life written by his daughter, Shirley Pedersen Schneider. The property that was Africa U.S.A is now the Camino Gardens subdivision. As seen on the Africa U.S.A. Gardens page, much of the lagoon is intact with the geyser base still visible. Africa U.S.A. was the real Florida at its best - a little tropical, a little kitschy, but a lot of fun for all who had the privilege to visit. Click here for pictures of the 50th Anniversary of Africa USA Event. 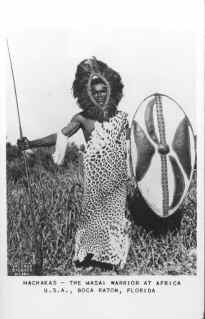 If you would like an extensive database of Africa U.S.A. pictures, brochures, the theme song and an extended MPEG movie, please click here. Interesting Facts About Africa U.S.A.
Africa U.S.A. had the largest herd of camels in the United States in the 1950s. When the 20th camel was added John Pedersen quipped that he now had "a full pack of camels." The cheetahs Mojah and Mbili were in the major motion picture "Quo Vadis" starring Deborah Kerr and featured in the documentary "Below the Sahara." The pumps that ran the Zambezi Waterfalls pumped over 250,000 gallons per hour. The jungle train tour was completely open - no windows or cages around the guests. 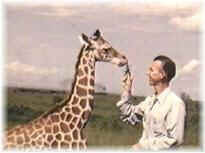 Jack Pedersen spent 7 months in Africa collecting and purchasing animals. Princess Margaret lived in the Pedersen house and was raised like a human child. The cost per booklet $8.95 + $1.00 S&H. Please make check out to Camino Gardens Association, Inc. Your order will be shipped promptly after receiving your order. 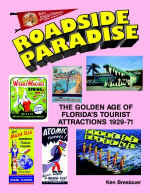 A history of the golden age of Florida's Tourist Attractions featuring many souvenirs and memorabilia. The cost per book is $18.00 including shipping and handling. The book is also available at selected Barnes & Noble bookstores. Features many pictures from Africa USA and stories of how it was created.